April is Parkinson’s Awareness Month and one local restaurant is going the extra mile to help the cause. 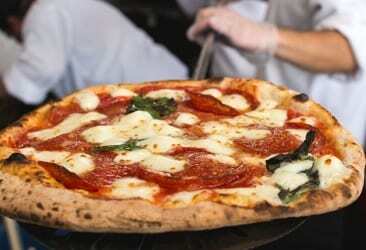 MidiCi the Neapolitan Pizza Company on The Avenue at White Marsh will allow guests to add $1, $5, or $10 to their order to be donated to the Michael J. Fox Foundation for Parkinson’s Research. The “Pizza for Parkinson’s” campaign will run from Wednesday through April 18, 2018. The White Marsh location is the first MidiCi to open in Maryland.